Beautiful as a dream. 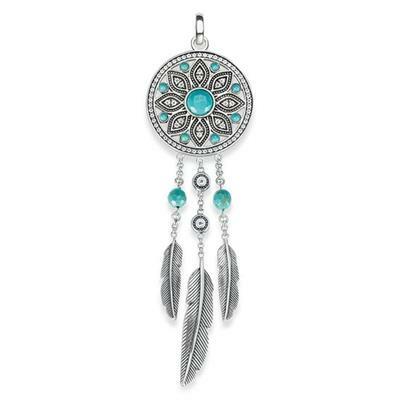 This Dream Catcher Pendant has been lovingly created by Thomas Sabo. It combines a boho style with sparkle and colour by integrating imitation turquoise stones, cubic zirconia and oxidised 925 sterling silver. This pendant measures 9cm high and 2.3cm wide. It is the perfect Summer accessory and would look great worn on any Thomas Sabo Necklace Chain.